irls was formed in April, 2011. After their first performance as a duo, Ben's friend and previous band-mate, Ian Jennings, excitedly wanted to be a part of the project. Ben and Zac, wanting to take the project to the next level, brought Ian on board to play bass for Strawberry Girls. During the writing process for their first album, a live demo was released on Bandcamp titled, "Demo 2011", containing 5 raw live studio tracks. Months later, Ben, Zac, and Ian brought these tracks to life, producing the album at their home studio. 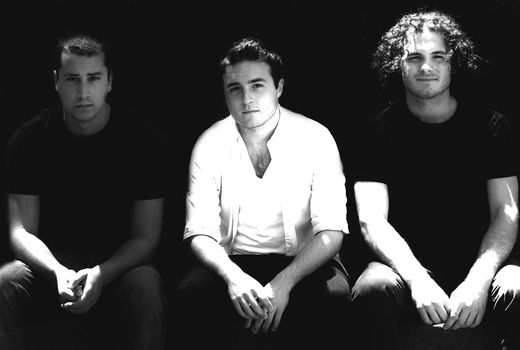 "Italian Ghosts" was released in August 2011 as their first official EP. Soon after, another demo was released titled, "Do Peace (EP)", comprised of two tracks "Do Peace" and "Fight Club". Those two tracks were recorded live in the home studio, intended to hold their fans over until their next release. Strawberry Girls have a lot planned for 2012. With their 2nd full length album, French Ghetto, on it's way, they have also taken on the task of remixing and remastering "Italian Ghosts" for a second edition release, as well as currently recording "Acoustic Ghosts", which includes mostly acoustic arrangements of new and old songs played on different instruments. There are also other special projects that may surface eventually. In the midst of all these different musical endeavors, Strawberry Girls has also been releasing various cover songs, filmed live and/or recorded in the studio, and put on YouTube.